Today I received another piece of Royal Correspondence. This one was so nicely done that it even caught my mother’s eye…and that was before she saw the back of the card. The reply cards that you receive from the Duchess of Cornwall are close to 5″ x 7″ in size, noticeably bigger than a response card from the Duke and Duchess of Cambridge or Prince Harry. 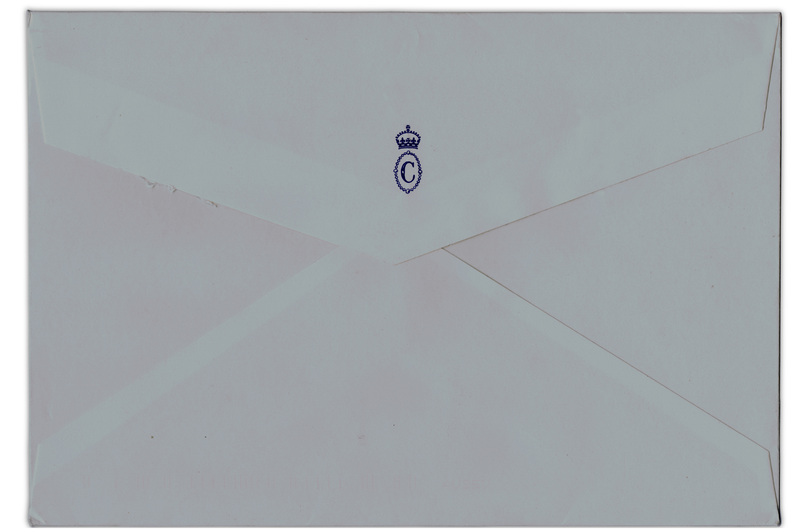 It came in an envelope bearing the Monogram of the Duchess of Cornwall in blue, from what I can gather from my research, this means it was sent from the offices at Clarence House. 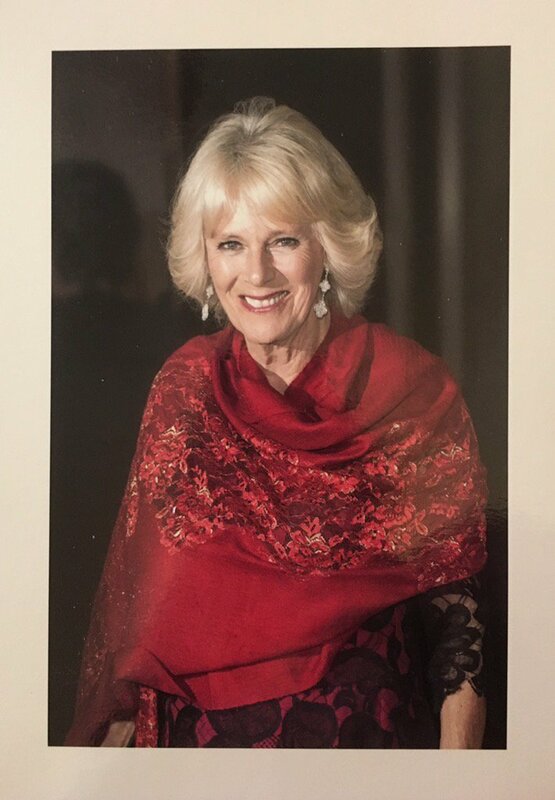 The photo on the reply card was taken by Mr. Mark Cuthbert, a royal photographer that is well known to many royal watchers and royal bloggers. The thing that stands out about the message on the back of the card is the same thing that means that this piece of royal correspondence will be in the Top 3 of the collection for a long time to come. The Duchess of Cornwall took the time to personalize the response with my name and she signed the card. I know that several people have received several signed responses from her over the years, but this is my first. 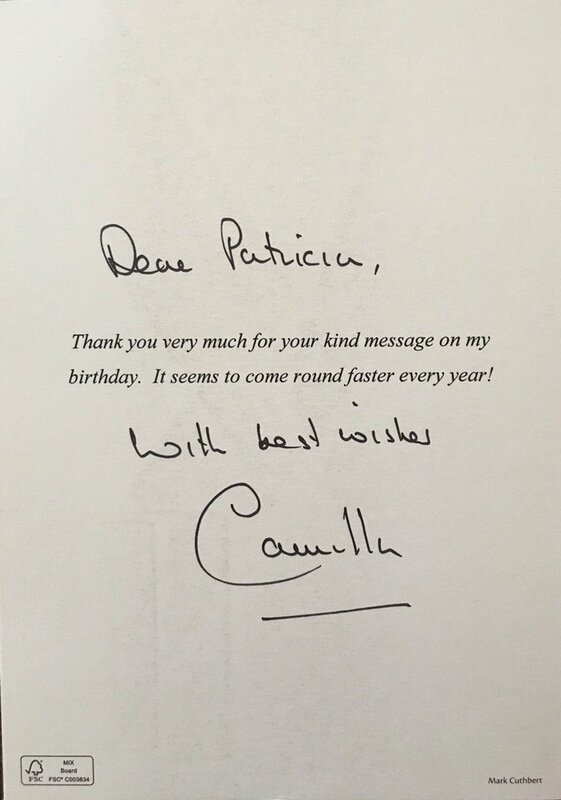 I really wish I had had a camera on my mom during the opening of this one because while I had a hint that this response might be personally signed by Camilla, she had NO CLUE and so seeing how much she was impressed with the photo choice followed by the shock of spotting a Royal signature was so fun to watch.